September is North Carolina Wine & Grape Month. North Carolina currently has over 120 wineries and 400 grape growers. NC-produced grapes and wine makes the state the 10th largest producer of wine in America. North Carolina is also home to the nation’s first cultivated wine grape, the scuppernong (the official fruit of the state of North Carolina! ), which is a variety of the muscadine family. On Friday, you will be able to read and see a little bit more about Scuppernong grapes here on Nik Snacks. The month of September is nearly over, but now is the best time for NC wine events and more. Muscadine grapes are noted for their superior antioxidant and other properties, compared to other grapes. My grandma used to make muscadine wine and keep it in bottles on top of our refrigerator. Well, most of the wine turned to vinegar, but the few bottles that weren't vinegar actually turned into something good. 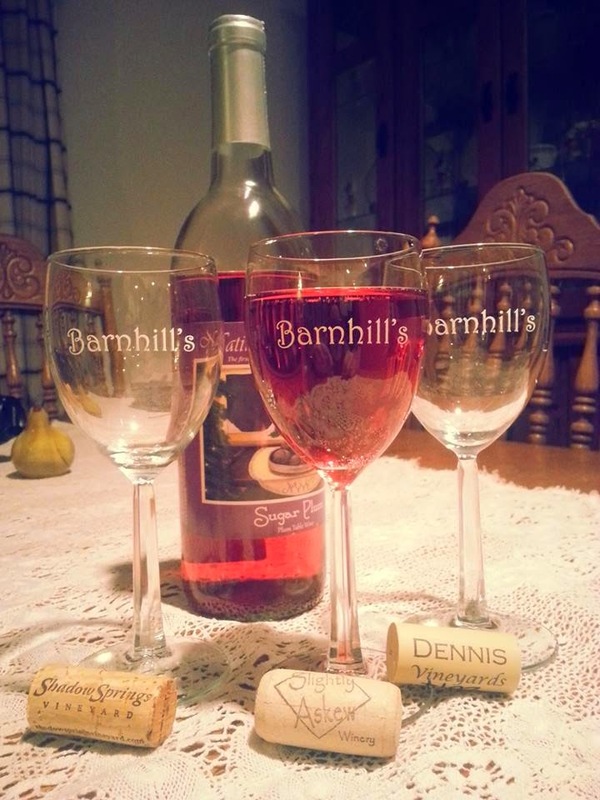 Varietals from Duplin Winery and Woodmill Winery are two of my favorites. That being said, I've made a new drink using muscadine wine. My new favorite drink is something I've created call a Southern Lady. There is another drink called a Southern Lady or a Southern Belle that is made with Southern Comfort or other bourbon spirits, but this drink is made with muscadine wine. It's sweet, fresh and just as polite and demure as can be. Curious about this grape? Want to take a little road trip? Well, the 10th Annual Muscadine Harvest Festival in Kenansville, NC takes place September 26-27. Nearly 50 wineries will be present for you to sip, sample, taste and find out all about muscadines, scuppernongs and all kind of grapes in between. www.ncwine.org has a monthly calendar of events at NC wineries, and other information, too. Check it out. Oh, this sounds like a sassy cocktail! You can pretty much pair anything with Cake Vodka and I'm game, though ;). Muscadine wine and cake vodka? 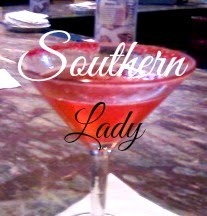 Now I want to drink this Southern Lady! I didn't know that North Carolina had so many wineries! This looks delicious! I didn't know about wines in North Carolina - muscadine sounds really interesting, and that Southern Lady looks delish! Love this post! What at great way to celebrate NC Wine Month. Guess what, there are now over 150 NC wineries. And we are celebrating with a special on all Muscadine wines. Please check us out at ncwinegifts.com. And I'm going to try our your Southern Lady tonight! Cheers to all! Who knew about the wineries? I would be very happy there! I would totally knock that cocktail back. I have a few friends who would love me if I made this cocktail for them! What an awesome color. I would love one of these cocktails right about now!